We partner with leading training organizations, bank training institutes, simulation providers, finance consultants and freelance trainers. We offer our partners the opportunity to add a profitable new line of business to their existing product portfolio. Would you like to add a new line of business providing innovative solutions to your clients? Riskflow Institute(Pty) Ltd provides action learning based training in financial risk, treasury management and financial literacy. The Riskflow Institute is a body of professional and industry-experienced individuals in the banking, financial, educational and related sectors. The purpose of this Institute is to build capacity in organisations through direct consultation, interaction via an educational platform, developing bespoke training courses, transfer of skills at all organisational levels and executive interaction. Furthermore the expert members of the institute can undertake due diligence analysis across all business sectors, evaluate business plans and advise on financing structures. BankersLab® leads the way in delivering innovative training across the banking industry. Utilizing a blended learning model, we integrate numerical simulation, the gamified classroom and mobile learning - designed to ‘level up’ the expertise of banking professionals. Since being founded, BankersLab® has developed a suite of training products that leverage proven techniques on how to train executives for the greatest retention and usage of learning. To date, we have trained participants from over 45 countries and in multiple languages. The 3 pillars of 3Masters are Training, Coaching and Advice. For each of these pillars we aim to provide solutions through our creative approach, emphasis on long-lasting results and innovative insights to assist you in your personal development. 3Masters provides a complete package of workshops and training where content, softskills and systems play a central role. Some examples of workshops include the workshop on Solvency II, Basel 4, Ethics and the workshop on Financial Analysis. For the full list of training and workshops click here. In addition to providing workshops and training, 3Masters offers a divers range of coaching for individuals or groups. For more information click here. 3Masters assists organizations, teams, managers and networks with continued success. We achieve this by providing solid advice followed by the necessary training and coaching in order to work more effectively and ensure optimal work performance. Our focus is on behavior and the interaction between managers and personal. Our aim is to always ensure that your strengths are being optimally utilized. The partnership between SimArch and 3Masters emerged out of a shared ambition to deliver quality training within the financial services sector. The offering of both organizations is complementary. Where SimArch provides the big picture, 3Masters zooms in on specific topics. Through the partnership we aim to bring value to the Financial Services Sector in the Netherlands bringing together financial know-how and innovative learning solutions. At ICAP Training Solutions (ITS) - www.icapts.co.za we are committed to furthering educational standards and international best practice. We aim to ensure that our learners are able to transfer theoretical skills learned into valuable practical skills. With this vision, partnering with Simarch was a natural progression, allowing us to market GuardB@nk 3, InterB@nk 3 & FirstB@nk 3 simulations in Africa, and to utelise the simulations to bring the theory into practice in our training workshops. The simulations really challenge the delegates, and has them engaging with their “management team”, considering macroeconomic conditions and Simulation Parameters, before making strategic and risk management projections. Delegates attending to get away from the office & have a nice lunch are in for a shock J, but all leave having nothing but praise for the knowledge gained from working on the simulation. FMO is the Dutch development bank. FMO finances companies, projects and financial institutions from developing and emerging markets. FMO believes that entrepreneurship is key in creating sustainable economic growth and improving people’s quality of life. FMO specializes in sectors where their contribution can have the highest long-term impact - financial institutions; energy and agribusiness, food & water. Developing countries are often considered high risk – and even their most innovative, promising businesses often do not have access to the financing needed to reach their potential. FMO also fosters capacity development, such as financial administration & planning skills, and sustainable business practices. FMO’s solid profile allows them to invest in higher risk markets, either with our own capital or on behalf of the Dutch government. Founded in 1970, FMO is a public-private partnership, with 51% of our shares held by the Dutch state, and 49% held by commercial banks, trade unions and other private-sector representatives. FMO has an AAA rating from Standard & Poor’s. RMI is a university-level research arm of the National University of Singapore (NUS) dedicated to the area in financial risk management. RMI strives to become a locally, regionally and globally recognized knowledge center in financial risk management where scholars, regulators and industry professionals gather to advance cutting edge knowledge that has immediate relevance to the financial system. Founded in August 2006, the Risk Management Institute (RMI) was established as a university-level research arm of the National University of Singapore (NUS) dedicated to the area in financial risk management. It is supported by the Monetary Authority of Singapore (MAS) under its Program on Risk Management and Financial Innovation. The Risk Management Institute (RMI) strives to become a locally, regionally and globally recognized knowledge center in financial risk management where scholars, regulators and industry professionals gather to advance cutting edge knowledge that has immediate relevance to the financial system. The Risk Management Institute (RMI) aims to be a world-class center in risk management through research, education and training. bdConsulting provides technical product and markets training to many of the world’s leading global banks and financial institutions. Founded by Bruno Curnier and Deborah Savin, two leading financial training consultants with some 36 years of experience between them, bd Consulting is a team of consultants sharing one goal; to deliver relevant, practical and pertinent training solutions that respond directly to their clients needs. Sharing the same ambition to deliver quality training solutions that are relevant, engaging and practical, SimArch & bd Consulting have formed an alliance bringing together action-learning tools and financial know-how. Selecting the product portfolio is an important first step, as this will determine the business plan and the subsequent alliance package. As we have a wide range of products, together with the partner we assess which product (s) would be best suited for the partner based on their existing portfolio, clients and local market(s). SimArch has over 17 years experience with the licensing and use of banking simulations and decision support tools. To equip our partners with the necessary business intelligence to be successful in their market, SimArch provides partners with marketing material, testimonials, past experiences, client lists and much more. Together with the partner we draw up a business plan for the market in which they will be using the banking simulations and/or support tools. Marketing documentation is provided to assist with the marketing of the different uses of the simulations, business games or tools among the client base of the partner. 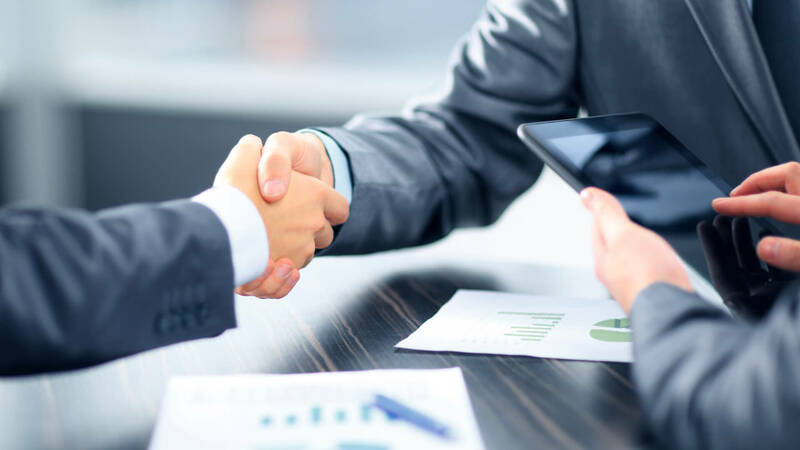 Once a partnership agreement has been concluded, a partner will obtain the rights to promote and use the relevant simulation(s) in their market for an agreed upon duration. A partner can acquire the exclusive rights to the simulation should the business case warrant this.